The Cure for Healthcare Recruitment - Duffy Group, Inc. Recruiting is challenging in any industry, but the industry that is facing a real epidemic is healthcare. In fact, the Association of American Medical Colleges predicts that by 2020, the US will face a shortage of 90,000 physicians, and 130,000 by 2025. Physicians are also being actively recruited by the private sector, such as pharma, biotech, and medical devices, which gives them a choice of more professional paths that don’t involve primary patient care. A survey from Health Careers Network shows the demand for healthcare services is predicted to grow rapidly in the next ten years, driven by an aging baby boomer population and increased access to healthcare for all Americans through the Affordable Care Act. However, the supply of healthcare providers will simultaneously decrease, which translates to shortages of qualified physicians and nurses predicted in the next ten years. Healthcare organizations currently face a number of industry-specific challenges when it comes to recruitment, with the most pressing issue being a lack of qualified employees. With an ageing population, the numbers of physicians and nurses are dwindling, which puts the negotiating power into the hands of candidates and healthcare organizations in a predicament. According to a recent article on theundercoverrecruiter.com, one of the biggest challenges is the dilemma between education and experience in the medical field. Do you choose the candidate who just recently graduated and only less than one year of experience, but has a master’s degree from the number one ranked program in the country? Or do you take the candidate who has over 10 years’ experience but has a degree from a low ranking institution? Issues like these slow down the recruitment process, and the key is to create a balance by hiring a mix of young, academically inclined employees, as well as those with on-the- job experience. Hiring recent grads is optimal for many healthcare providers because it’s cost-effective, but it’s not always easy to recruit new graduates who tend to be in high demand and are acquired quickly. The demand for physicians, not to mention registered nurses, medical administrators and the bevy of other roles that are just as critical for healthcare as the MDs these jobs support, provides recruiters today with a significant set of challenges – and unlimited opportunities for the ones who can figure out how to overcome these issues. So, what’s the cure for finding motivated candidates who are so busy that responding to recruiters is becoming almost impossible? Engagement is only half of the battle because the fact is, these candidates have options, and are aware that the market demand far outpaces supply – meaning that few need recruiters more than recruiters need them. While you may have the most desirable opportunity out there, there’s a good chance that candidate is checking out other options before continuing with the process, since, while they’re looking, it’s impossible for them not to find other potential choices in the cutthroat competition for one of the most valuable commodities in talent today. Keeping the attention and limited focus of a healthcare professional requires every recruiter to be able to tell a compelling enough story about any job opening to motivate candidates to take action. It’s not just about sourcing, finding, or even engaging candidates. You must have a narrative that’s going to speak to healthcare practitioners’ professional aspirations and personal altruism alike. All recruiters tell candidates about how their opportunities will lead to more upward mobility, or increase their exposure and abilities to advance up the ladder; the reality is candidates in this space know they can advance their careers simply waiting while the market conditions play themselves out independently. The solution is for hospitals and healthcare organizations to rethink their approach to hiring by creating enticing benefits packages that make physicians and nurses want to work for them. It is also estimated that nearly 10,000 Baby Boomers retire each day, so healthcare organizations need to develop recruitment strategies that prepare for their retirement so they don’t have to continually hire new individuals to fill positions left vacant by senior level employees. 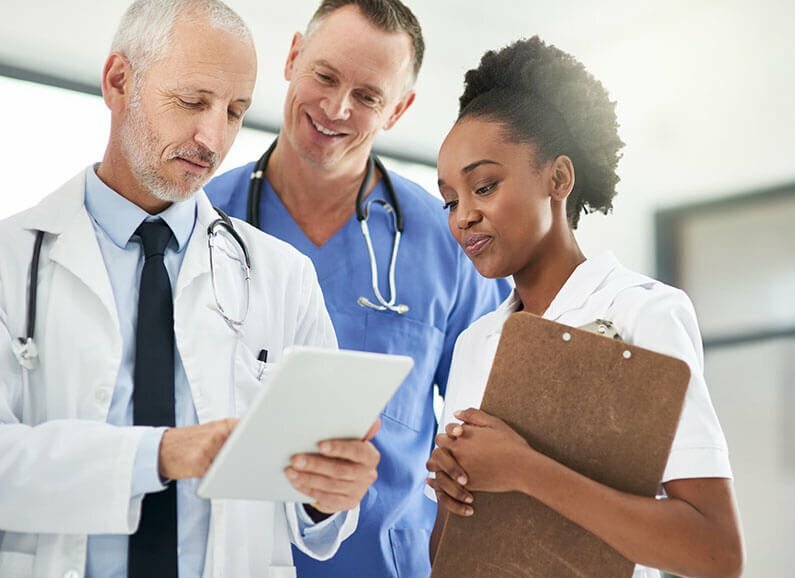 By overcoming common healthcare recruitment obstacles, health organizations’ recruitment efforts will open the door to attract the best candidates that aren’t just there for the money; they are there because they love their jobs and their company.